The latest version of Certifed Ethical Hacker V10. Prepare for and take the 4 Hour CEH Exam containing 125 multiple-choice questions. Learn to assess the security of computer systems using penetration testing. As the world's largest cyber-security training provider, our proven interactive training methods, including live-hacks, ensure that your business's systems are secure, responsive, and impenetrable. Our market-leading EC-Council accredited course includes interactive lab testing environments and hands-on system deployments to fully equip skilled professionals to instinctively diagnose and overcome system weaknesses. System hacks are becoming more and more frequent - hence the requirement for businesses to transform their security platforms has never been more paramount. This detailed, meticulous, and world-leading course educates Certified Ethical Hackers of how to enhance their structural capability, to protect against malicious intrusions. Upon the completion of this all-inclusive 5-day Certified Ethical Hacker course, professionals will be fully prepared to adapt vulnerable and weak systems into digital-forensic market leaders. This Certified Ethical Hacker v10 course transmits the most up-to-date system protection information. CEH v10 is the updated version of CEH v10, hence it provides delegates with the most current and necessary material that allows them to secure against system intrusions and costly breaches. Individuals will be launched into the world of hacking, by applying mechanisms and methods used by illegal hackers for the enhancement of security. 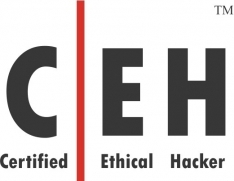 CEH v10 will teach delegates about the different types of hacking, and how to implement ethical hacking techniques to prohibit the assaults of illegal hackers via unauthorised system infrastructures. Delegates will learn how to scan, test, hack, and defend their security systems from infiltration. In addition, individuals will learn about the five domains of ethical hacking, which act as a basis for their hacking. Adopting the mentality of an illegal hacker is valuable in identifying weaknesses within security systems, as such a mindset will draw ethical hackers to the areas illegal hackers would target, these areas will be strengthened. Certified Ethical Hacker v10 is taught within an interactive environment to ensure delegates learn practical skills that they can apply to the workplace. Who should attend this Ethical Hacking Training? What is Certified Ethical Hacker? Certified Ethical Hacker uses hacking techniques to uncover weaknesses within security systems. These flaws are then improved upon to boost the strength of security processes, which in turn protects systems from vicious cyber attacks. For more information, visit our Certified Ethical Hacker topic page. Why is Certified Ethical Hacker v10 necessary? CEH v10 is appropriate today due to the constant progression of technology. Such continual developments mean illegal hackers are always finding new ways to carry out their activities, thus protection against these attacks is vital for the conversation of a business. Attacks can hit any company at any time, so preparation is crucial. What prior qualifications do I need to enrol onto CEH v10? This official EC Council accredited Ethical Hacking course is primarily targeted at security professionals that want to acquire a well-rounded body of knowledge to enhance their employability prospects. Acquiring this Certified Ethical Hacking Certification means the candidate has a minimum baseline knowledge of security threats, risks and countermeasures. Organisations can rest assured that they have a candidate that is proficient and is more than a systems administrator, a security auditor, a hacking tool analyst or a vulnerability tester. Is the course overly technical or does it reflect real-life business scenarios? This CEH course is invaluable due to its interactive but varied tuition style. Covering over 18 domains, students are exposed to business risks and the potential damage that can occur due to negligence or intrusion. Students will be able to make an informed decision regarding the amount of risk a company can face if it chooses to address a security concern. What’s Included in this Ethical hacking Training?